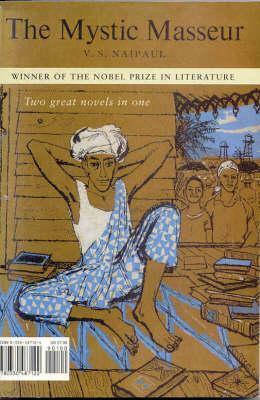 I have been hooked onto Naipaul since I read “A House for Mr. Biswas”. (for more info refer- https://wordsofashex.wordpress.com/2012/11/06/from-my-book-shelf-8/). This book is similar to that one as it describes the story of a man from nothing to something. The only difference being- this book is more funny and the best part is that in India, I can expect the rise of someone like this. The Mystic Masseur is the story of Ganesh- who starts by being a masseur and then moves to being an author, a mystic and then a politician. His marriage is very Indian-of-the-50s (The girl’s father thinks Ganesh will be a suitable husband because he is “educated” and he agrees and they lead a dissatisfied life together). Like every Naipaul’s book, the characters are powerful and well-crafted while the satire makes me think of my family (the extended ones especially :D). This is Naipaul’s first novel and he established his distinct style with this book- the satire of the Hindus and the powerful characters who make you a part of their world. You observe their activities and smile, laugh and sometimes…cry with them; never realizing that maybe this story can be of someone you know. That is one of the major reasons why Naipaul’s books are so engaging- he just makes me think the way I perceive people around me. This book is better then “A House for Mr. Biswas” as there is always something happening in this book while “A House…” seemed to get slow at times. I would recommend this book to every Indian as they would be able to relate to it…especially how we put the “mystics” to pedestals and expect our happiness from them. Yes, you can say it has been “The VS Naipaul Reading Session” but both “A Mystic Masseur” and “Miguel Street” are short, easy-to-read novels. It took me 6 hours in total to finish both. (No, I am not bragging :D). “Miguel Street” has no story. It is a narrative told by a boy who sits on a pavement at Miguel Street and observes the people day in- day out. At the end of the book, you feel like you have entered the homes and hence the private lives of the people who live at Miguel Street. There is Popo the carpenter who is trying to make “the thing without a name”; there is Man-Man who stages his own crucifixion and several other characters who live there. I suppose I expected some story that makes a novel- but Miguel Street is several short stories with the common thread being that the characters live on the same street and hence, know each other. So it was not all Naipaul :D. I though I will take a break from Naipaul and this was a book I found on my recent trip back home. I brought it with me and was a little apprehensive about reading it…but am glad I did. This is an un-putdownable book and I loved every bit of it. 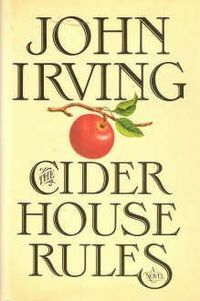 The Cider House Rules has also been made into a movie and I have heard that is really good as well. Anyway, this review is about the book. This is the first John Irving book I have read and it is definitely not the last. The Cider House Rules is about Dr. Wilbur Larch- “saint and obstetrician” who runs an orphanage in St. Clouds located in Maine (US) and his favorite orphan Homer Wells who is never adopted. The book takes you through a gripping and an emotional journey from the naming of Homer Wells and his experiences with the families who adopt him…but something or the other happens and he comes back to St. Clouds. He becomes Dr. Larch’s protege and learns how to deliver babies and also to abort them…but he refuses to perform abortions (unlike Dr. Larch). The book has its share of emotions- the humor, the sadness, the disappointment, the anger and I can go on and on…though I won’t :D. But what makes this book so amazing is that you feel these emotions inside you, you feel like you are going through these turmoils and you can feel the sense of loss on the women’s faces when they step off the train in the morning to get an abortion done or the hatred for everything when a young but strong Melony breaks a house near the orphanage. This is one of the most empowering books I have read in a while and is a must-read for everyone.